The first digital computer filled 1800 square feet of floor space. Today, your cell phone is more powerful. And it fits in your pocket. But even today, to store massive amounts of data, you need energy and space. Before the advent of the internet, this meant local servers. Today you can avoid the cost and headaches associated with local servers. 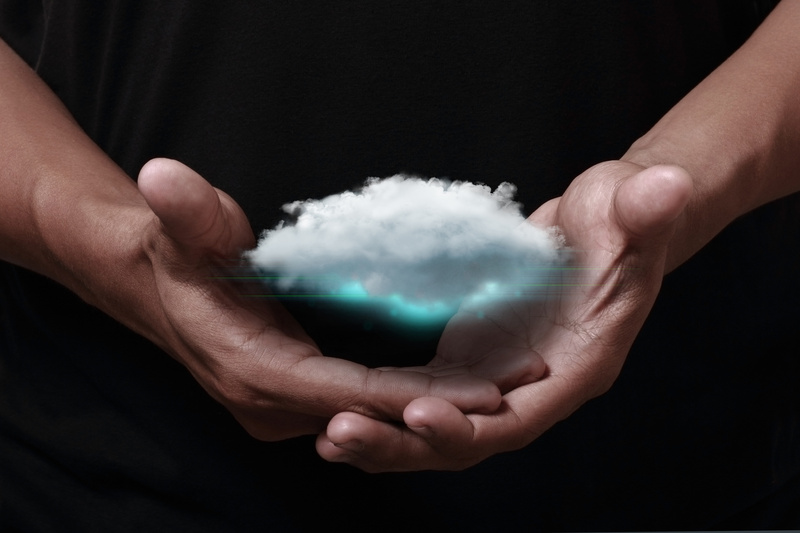 Read this introduction to cloud computing to find out! Cloud computing is computing as a service. It’s both data crunching and data storage at a distance. The internet has been the catalyst for this kind of computing. And it’s revolutionized how we work. It’s called a “cloud” computing because the user cannot see where the data is stored or processed. It’s not on your desktop or in a server down the hall. It’s somewhere halfway across the world. And it’s sitting in a computer along with thousands to millions of other people’s data. But cloud computing isn’t a precise term. It means many things. And without some real examples, we won’t fully understand the possibilities. Your email is probably the most concrete example of cloud computing. We’ve essentially been cloud computing since the late 90s and AOL. We just didn’t call it cloud computing back then. All your emails are stored somewhere other than your computer. And you access them through a web browser. Before email moved to the cloud, you would download all your email to your computer. Spam was a lot more annoying back then. But your business could leverage cloud computing in more ways. If you work with large datasets, you could store and access all of it in a more secure location. In fact, cloud storage typically means backup copies in servers all over the world. If one server goes down, you still have access to your data. Sharing data, especially with a remote team, wouldn’t be possible without cloud computing. You can create whole online office spaces and allow access to your whole team. This could include chat clients, video conferencing, word processing, and complex shared data programs. Since this is an introduction to cloud computing, here are a few basic terms you should know. Each of these terms include “as a Service.” “As a Service” simply means “outsourced”. You can directly buy server time or computing power for your business. This means infrastructure you don’t have to build or maintain. From web hosting to massive computer games, IaaS runs a lot of the internet. The software isn’t on your computer. It’s all somewhere else. Google docs or Office360 are both examples of SaaS. Usually, companies that use expensive software will opt for SaaS as a subscription is cheaper than buying the software. It also avoids the cost of upgrading software when a new version arrives. If you’re a developer, this would be the service you would utilize. This includes web-based tools for development. If you’re looking for a great way to backup your data, check out our data backup plans.